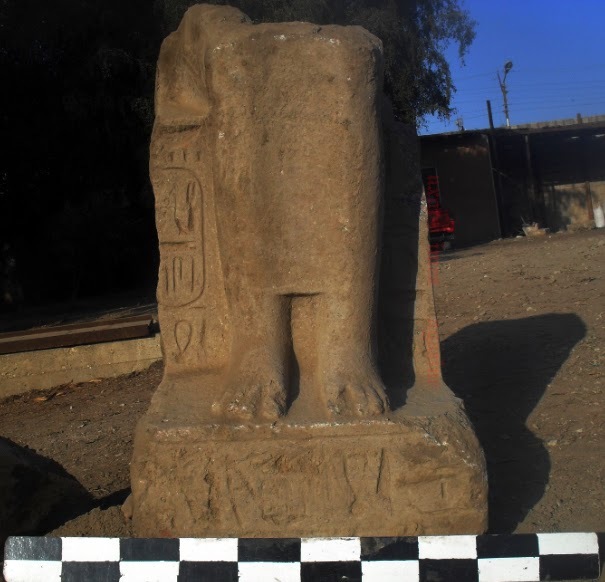 A lower part of a statue representing a woman was found in Akhmim, Sohag. The bloc was found on the west of the town of Akhmim in Sohag governorate. A committee of Egyptologists confirmed authenticity of the statue. The investigations confirmed that the statue bloc was a result of digging at a construction site then it was dumped away from the site. Minister of Antiquities said that the construction site is being checked at the moment to make sure if there is any more antiquities. 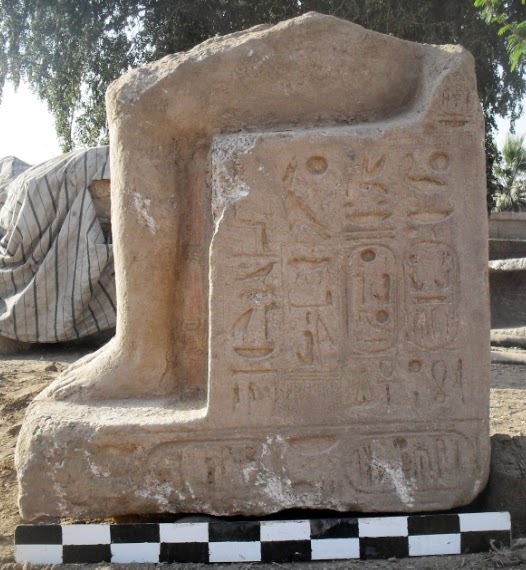 Gamal Abd Nasser, Sohag antiquities director, said “The bloc measures 140 cm in height and 56 cm in width. The block represents the lower part of a seated lady with the base showing a part of the legs. 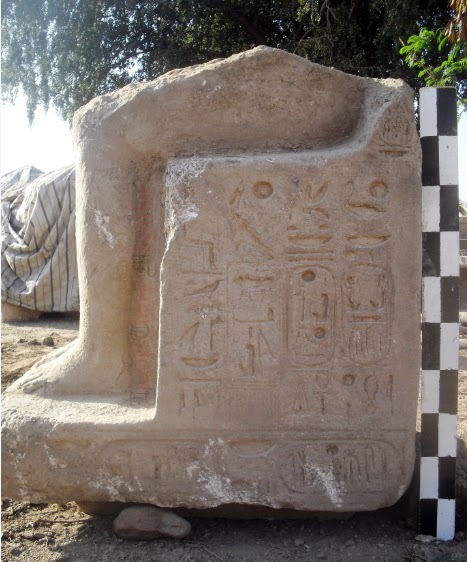 The left side shows 4 lines of hieroglyphics inscriptions with the titles of Ramses II. The Egyptian Antiquities needs a NEW LEADER !! !